We love stouts! 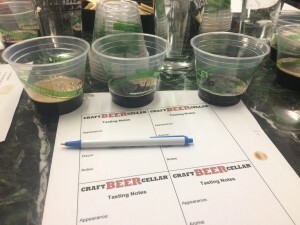 So imagine the scene last Saturday when we gathered at Craft Beer Cellar in Belmont with some of our favorite beer-loving friends for a blind taste test of Massachusetts stouts. It was a lot like the toga party scene from the 1978 classic Animal House, only without the togas. Still, it did make us want to kick our heals up and stout, throw our hands up and stout. No, Otis Day & The Knights weren’t there, but we did find ourselves calling out “yeah, yeah – yeah, yeah” whenever Suzanne Schallow and Kate Baker, co-owners of the popular beer store chain, poured us another round. 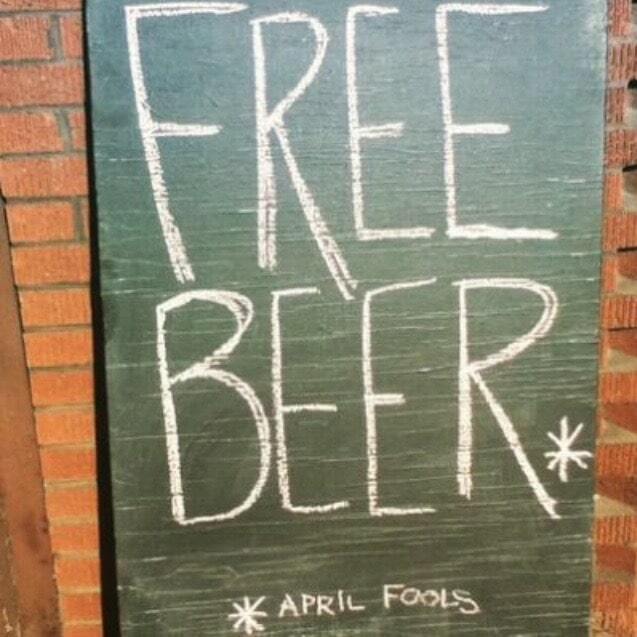 They really know how to throw a craft beer tasting party. Our tasting panel’s qualifications ranged between BJCP accredited judge to people who like free beer. It didn’t hurt that all the cool beer kids were there either, including noted writers Alex Weaver (Hop Culture) and Norm Miller (The Beer Nut), veteran tasters Kristen Sykes (Boston Area Beer Enthusiasts Society) and Bethany Baker (LipstickNlLager on Twitter), beer reviewers Ryan Brawn (HoppyBoston.com) and Scott Staiti (Boston Beer Hunter), Castle Island sales rep and occasional blogger Tyler Cameron (Barrels & Biscuits), and craft beer-loving twenty-somethings Alex Glomset and Ana Lutkevich, seekers of great beer and prolific instagramers. With nine Bay State offerings on the docket and everyone seated at a communal table, is was time to throw our heads back and stout. While rating the beers we looked, sniffed, and sipped, like all good beer nerds do. Given the discrepancy in tasting/judging experience, however, our criteria for selecting winners was pretty simple: choose the beer you enjoy the most, one you could see yourself drinking regularly. The format consisted of three rounds, with three tastes in each, and the top choice moving on to the finals. First up were Opa Opa’s milk stout, a cream stout from Sam Adams, and Mayflower Brewing’s oatmeal stout, whose classic aroma and taste propelled it into the championship round. The second pouring was all oatmeal stouts, with Night Shift’s Bennington edging out Ipswich Ale’s classic offering and Big Elm’s Gerry Dog. Round 3 pitted Harpoon’s Blood Orange Chocolate stout against a pair of American stouts, Near & Dear from Brewmaster Jack and Check Raise from Idle Hands, with the latter prevailing. A scene from the final round of stout tasting. CBC Belmont hosts one on most Thursdays. After a break it was time for our final decision. We tasted again, then waxed poetic about each finalist’s handsome appearance, roasty aroma, creamy mouthfeel, and dark malty flavors. A few tasters even exhaled a satisfying mmmmm. When we had finished tasting and deliberating, our gracious CBC hosts hit us with the big reveal. Bronze went to Mayflower Oatmeal Stout, a tried and true classic that two of the panelists actually recognized while tasting. Night Shift’s Bennington, the funkiest of the bunch (especially its aroma), earned silver, with several tasters noting the variety of complex flavors. Check Raise from Idle Hands convincingly took home the gold, with a majority of tasters lauding it for the well balanced, satisfying aroma and taste you’d expect in a great stout. 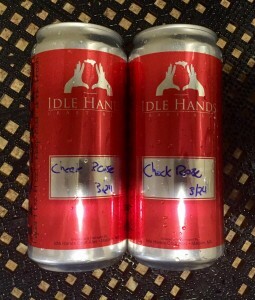 If you’re curious to taste our top choice head over to the Idle Hands taproom in Malden where its currently on the draft list. If you time you’re visit right, you might even get a pour of the special small batch they brewed for the Black Ale Project, an initiative to raise money and awareness on behalf of U.S. veterans. Though we didn’t always agree, our deliberations were cordial, and sometimes lively, but mostly informative, The idea was to talk about what we liked, or what we didn’t. “It was interesting to see how much people’s opinions differed,” observed one panel member, also a home brewer. His tweet the following morning prompted a number of responses, some from industry professionals, on the problem with beer ratings. The spirited discussion was indicative of the amazing craft beer community we have here in the Bay State. A special version of Check Raise, aged on toasted oak and orange peel, will be available in the Idle Hands taproom on April 9th. $1 from each pour will be donated to the Black Ale Project. Just to be clear, this blog post is not meant to be a best-in-category list, or even a list of recommendations, though we definitely found a few stouts we intend to drink more of. It was more an exercise in tasting, learning, and socializing with other passionate beer drinkers. And we had a blast. If you haven’t been to a blind tasting recently, or maybe ever, what are you waiting for? CBC Belmont offers free blind tastings most Thursday nights. Check their April calendar for details on their upcoming events. You could also plan to have your own tasting at home with some friends. Here’s a How to Host A Blind Tasting article from Draft Magazine. Similarly, you could host a bottle share and talk about what you like or don’t like about the different beers people bring along. We plan to continue doing more of both in the foreseeable future, blind tasting Bay State beers of different categories, and sharing our brews and our thoughts at gatherings and parties. 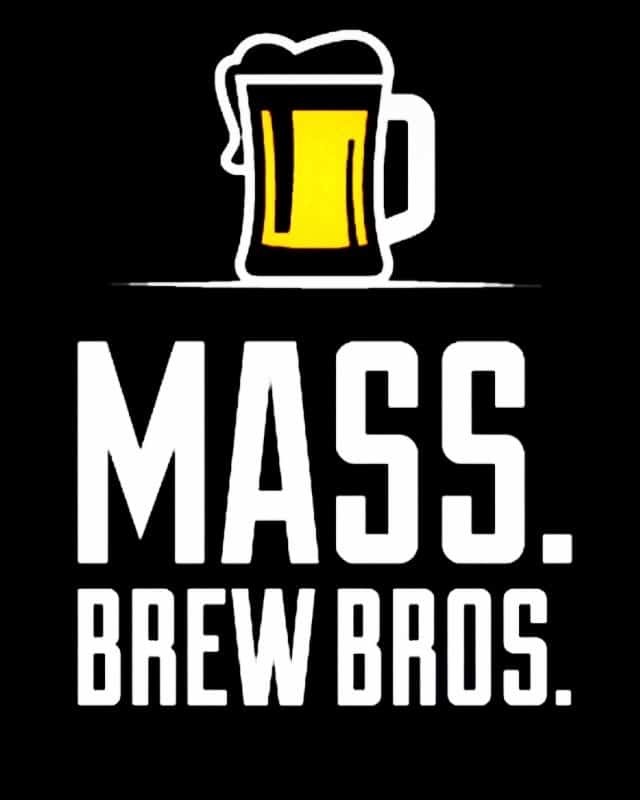 If you have any suggestions, or would like to join us for one, let us know with an email message to massbrewbros@gmail.com. And don’t forget about the Mass Brewer’s Guild Power Beer Fest on April 29th, talk about a great chance to taste dozens of brews. We plan to be at the evening session, be sure to say hi if you see us there. Cheers. I believe Trillium has some of the best porters and stouts I’ve ever had. I do love Mayflower as well. We agree. If only we had the time to do tastings every week. Cheers.